Time was that the holiday season didn’t start until Thanksgiving. Of course that seems like eons ago. These days Christmas displays in department stores pop up before Halloween. If you’re not careful, Thanksgiving can get lost in the all the hub bub. 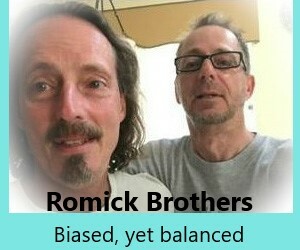 We Romicks don’t let that happen. 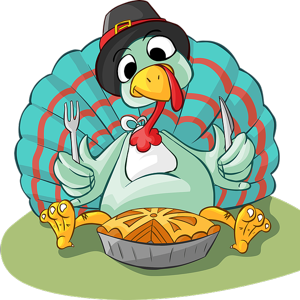 Thanksgiving is always a big deal for us, no matter how many of us gather at any one location to celebrate. It can be as small a group as an individual family or even a couple, or a multi-generational elbow-to-elbow feast. Thanksgiving 2016 was of the latter variety. I believe there 19 of us at my brother Mike’s house, four generations were present. It was Dad’s last Thanksgiving and he told me he thought it was probably the best he’d ever experienced. As I suspect it is for most families, food is at the center of our celebration, and we have some traditional fare that must be present or it just isn’t Thanksgiving. We start with Pap’s hors d’oeuvres. Olives, chunks of cheddar cheese and cocktail onions on toothpicks. Dad told me he thought he’d find the recipe (if something that simple can actually be called a recipe) in a magazine somewhere. 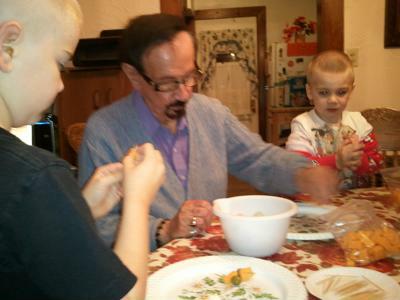 Those surprisingly tasty morsels have been a part of Romick Thanksgivings for as long as I can remember. And making them has become as important a part of the day as eating them, with every age group pitching in. We usually make them, and eat them, while watching the Macy’s parade. 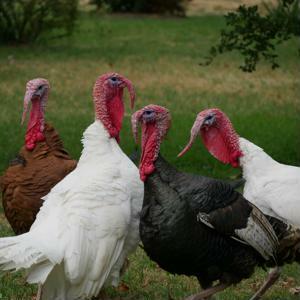 A turkey is almost always the centerpiece of the meal proper. Though we tried other fowl a few times. One year when I was growing up we had a goose. Another time each of us got our own Cornish hen. I did manage to get Teri and the kids to try Cornish hens one year while we were living on Long Island. I still can’t get anyone to agree to a goose. Side dishes have become almost as traditional as the hors d’oeuvres. There’s always mashed potatoes and gravy, stuffing and steamy buttered rolls. Teri makes a sweet potato casserole to die for and Kelsey makes a world class green bean casserole. And then there are pies. Always pumpkin with gobs of whipped cream. Dad favored mince pie, so Mom always made one of those, though no one else ever ate a slice. And Teri would make a chocolate cream pie too, especially for Brandi. While some people may think that food is the focus of the celebration, the day simply an excuse to over indulge, that would not be accurate. The feast is merely a symbol of the bounty we have enjoyed during the year, no matter how tight we’ve had to pinch those pennies. 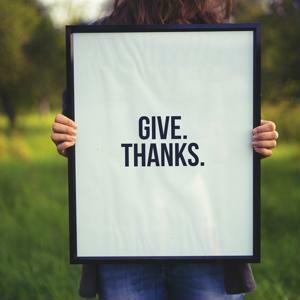 We realize and gratefully acknowledge the many blessings we enjoy on a daily basis. We thank God for His love and the love of family and friends. And even if it’s the first Thanksgiving without a loved one who has gone home to be with the Lord, as will be the case this year, we are thankful for the time we had with them, the sweet memories of their short time with us and the hope that we will be united with them once again. Happy Thanksgiving from all of the Romicks. 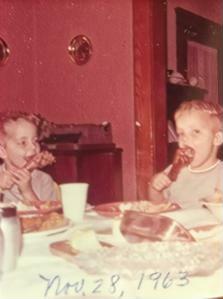 This first photo is from Thanksgiving 1963. I was 5, Mike was 3 and Deb (not pictured) was one day shy of 1 month. My guess is that this was taken on Morlot Avenue in Fair Lawn, NJ. 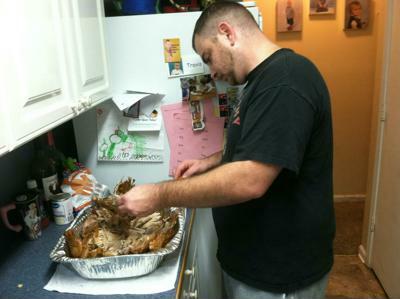 Here’s Caleb, Thanksgiving 2013, at his house in Newnan, GA, as he carves the turkey. 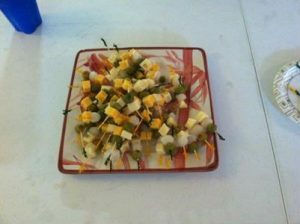 And the hors d’oeuvres from that year. 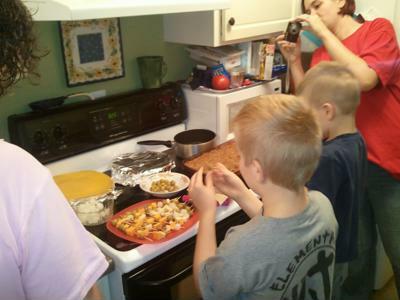 Thanksgiving 2012, our house in Newnan, GA. Teri, Toby, Travis and Brandi getting ready to dig in to those hors d’oeuvres. 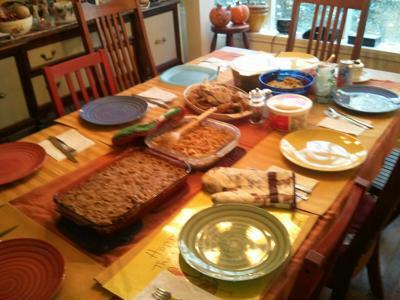 And the full spread on the table that same year. Toby, Dad, and Travis making hors d’oeuvres for Thanksgiving 2011. Teri and took the boys to Wheeling that year. Thanksgiving 2016 at Mike’s in Wheeling. 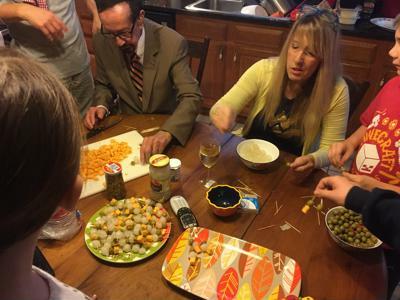 Four generations making hors d’oeuvres.